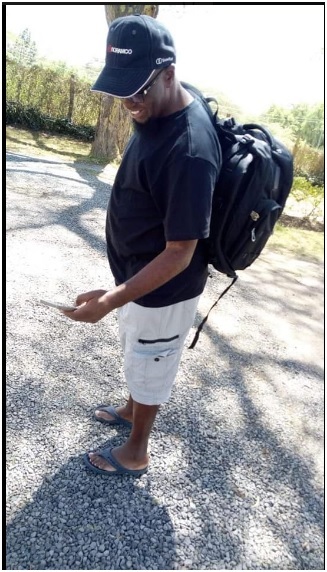 Wednesday, March 6, 2019 - A cheating Rift Valley politician has been exposed by his wife. 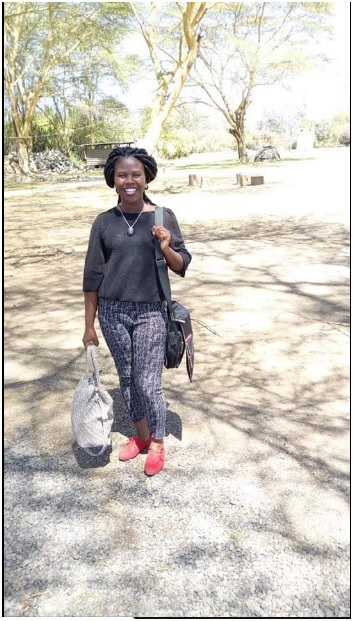 Sammy Keter, a lawyer by profession who vied for a Parliamentary seat on a KANU ticket during 2017 Elections and lost, has been cheating on his wife with Faith Chepkoech, a second year student at Maasai Mara University. 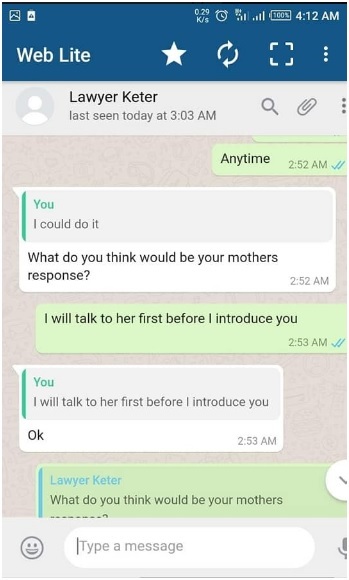 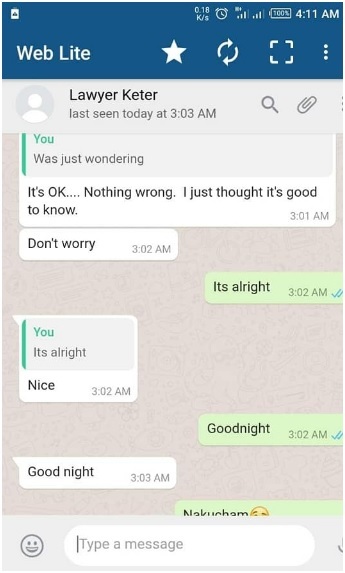 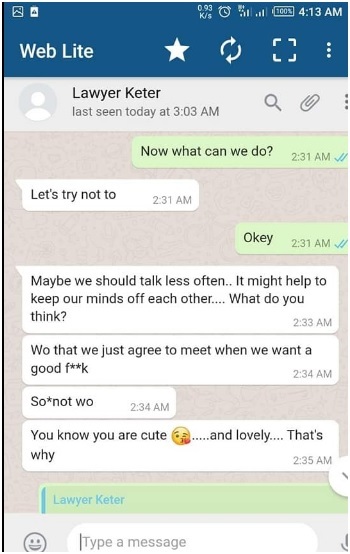 She snooped through her husband’s phone and found the messages that he has been exchanging with the young lady. 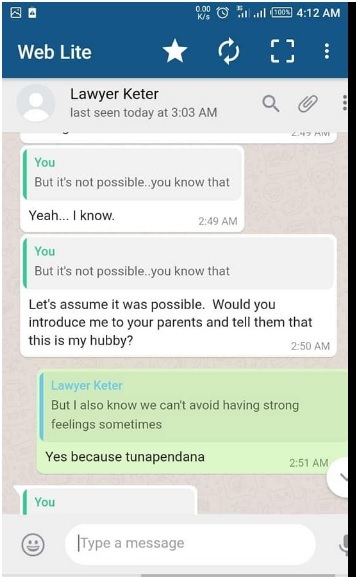 She then exposed her cheating husband on the popular Group Kenya facebook page. 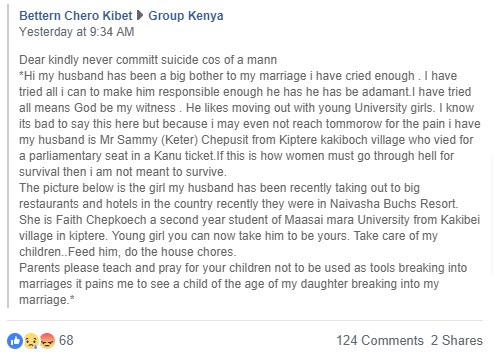 Keter’s wife is threatening to commit suicide after finding out about her husband’s philandering ways. 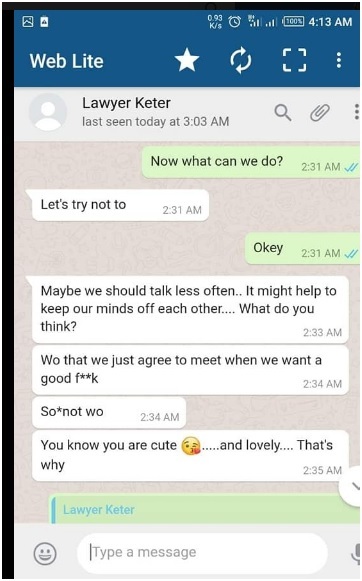 Here’s the University lady he has been smashing behind his wife’s back. 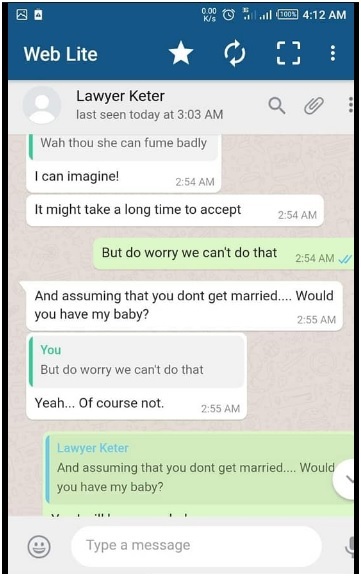 See the chats they have been exchanging.